Announcement A small bookbinding studio located in Melbourne, specializing in bespoke journals and notebooks. Handcrafted with passion & offering a high level of customization. Message me to inquire about a custom order. A small bookbinding studio located in Melbourne, specializing in bespoke journals and notebooks. Handcrafted with passion & offering a high level of customization. Absolutely perfect! 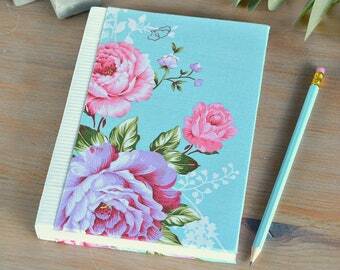 Journal is exactly as pictured and beautifully made! I specifically wanted a journal that would lay flat, had thicker pages and had a stitched spine; this book fits that bill to a tee. Bonus was I received it just four days after payment in a finely wrapped package, complete with string! Would highly recommend Iwona's products if your looking for a high quality bullet journal or for a great gift! Iwona was a pleasure to work with for my order. She created a beautiful, customised journal that exceeds my expectations. Thank you Iwona. More from our range of Valentines cards! From my studio to your home. Every piece is crafted with care and passion. With occasional limited edition themed releases. It all started nine years ago, when I decided to search the internet for some craft project I had in mind. A few days later I was completely entranced by the abundance of inspiration shared by people across the globe, and I rekindled my intense childhood passion for crafts. 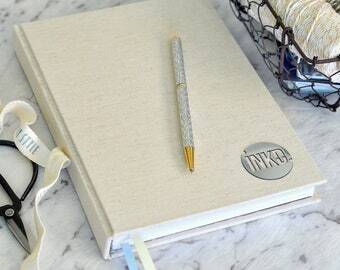 Fast forward to 2015, I found myself looking for a new outlet for my creative needs, that's when INKDStationery was born. INKD is a nod towards my roots, which laid a foundation for my love of paper. I'm thankful for the possibility to nurture the amazing ancient craft of bookbinding, in a broad range of product I create, and the mediums I employ. As a self-taught bookbinder, I'm forever learning and experimenting, but quality is always at the very top of my list. INKDStationery is my slice of heaven, a refuge, a challenge, a path I'm excited to walk on, and a way to stretch the boundaries of my creativity. I'm humbled to make my books a part of YOUR journey as well. Due to the nature of handmade, some differences between the look of each piece may occur, as well as slight imperfections. I make sure that every item meets my quality standards, while the occasional variations add to the uniqueness of the product and make it one of a kind. I often work with supplies acquired in small batches & prone to limited availability, therefore limited quantities of certain patterns will be made available. It brings exciting diversity to the store, and while some designs may come and go, you are always more than welcome to inquire about anything you have in mind, including colours or motifs you'd like to see on a particular product. Within my power, I'll do my best to fulfill your wish. Payment must be paid in full and cleared before work commences on all products, including made-to-order items and custom orders. Make sure that your postal address on Etsy / PayPal is correct and up-to-date, before your order is shipped. It is your responsibility to pay for re-posting items that have been returned to us due to incorrect address. We are not held responsible for the items that are gone missing in result of providing incorrect postal details. Both domestic and international post includes tracking. I strive to provide the best customer service. However, if you're unhappy with any aspect of transaction, I would appreciate it if you contacted me before leaving negative feedback.